Jonathan Ferrey/Getty ImagesSeveral of NASCAR’s top drivers have either lost their main sponsor or will soon. 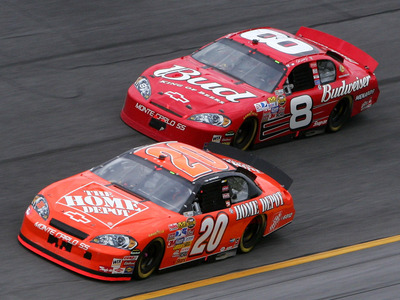 NASCAR teams are losing sponsors at an alarming rate. While the sponsor losses leave teams scrambling to pay the bills, it is also having an impact on their fan bases and how they identify with their favourite drivers. The solution might come from soccer where teams have prominent sponsors, but the teams have consistent colour schemes that are easily identifiable even when sponsors change. The solution could cost teams up front, but it could be the best move to strengthen the sport in the long run. NASCAR has a growing sponsorship problem that could be impacting their fan base directly, and the solution might be found in soccer. 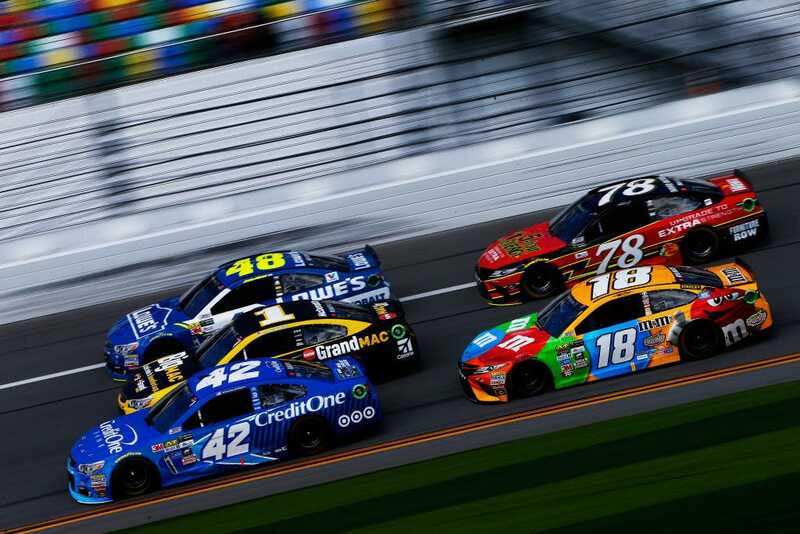 Several top drivers have lost their primary sponsor in recent years or will lose them next season, including 7-time champion Jimmie Johnson, 2017 champion Martin Truex Jr., Kyle Larson, and Kasey Kahne, among others. The obvious, short-term problem is teams have to scramble to find new sponsors to help pay the bills. For a top-flight stock car, it can cost $US30 million to run a team, according to the AP, and sponsors pay for most of that. But there is another problem that will likely have a more significant, long-term effect on the sport, and that is how the constant changes impact the fans. As more and more top sponsors leave the sport, more and more teams are replacing them with multiple main sponsors that either rotate or only stay with the team for a set number of races. David Taylor /AllsportDale Earnhardt races Jeff Gordon in two instantly recognisable cars. Two-time NASCAR champion Terry Labonte was a guest on Dale Earnhardt Jr.’s “Dale Jr. Download” podcast and was asked about what he felt was the biggest thing missing from when NASCAR soared in popularity during the 1980s and 1990s. For non-NASCAR fans, it is difficult to overestimate how strongly diehard fans can associate with their favourite driver’s sponsors. Tony Stewart fans shopped at Home Depot, not Lowe’s. 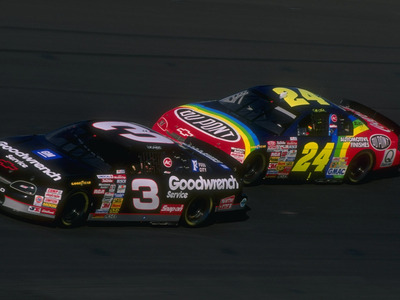 Jeff Gordon fans weren’t taking their cars to Goodwrench, because they sponsored Gordon’s rival, Earnhardt, and so on and so on. But now, as Labonte pointed out, it is not unusual for drivers to change main sponsors mid-season now and they may go through several in a year, lessening that bond between fans and the drivers. Imagine rooting for the Pittsburgh Steelers, and they wore eight different uniforms during a season, and even though black and gold was still their primary colour scheme, many of the others were in different colours. Now imagine the Steelers are just one of 40 teams on the field at one time. To make it worse, maybe the next season, the Steelers were suddenly forced to change their main colours to blue and green and in mid-season, they suddenly changed again to pink and orange. Worse yet for NASCAR fans, imagine Dale Earnhardt – don’t call him “Sr.” – not driving his signature black No. 3 car late in his career (he did have other paint schemes in his career, including a lovely yellow and blue Wrangler car when he was younger). Soccer may have it the best, and they may have the solution to NASCAR’s problem. European football teams often switch main sponsors and do switch uniforms each season. But for the most part, the team’s colours don’t change, and often there is consistency in the style of uniform. Check out a few of Manchester United’s home kits from the past several seasons. The critical point here is that United’s kit is instantly recognisable even though the primary sponsor has changed and the style is always being tweaked. This is because it is the team that dictates the colours, not the sponsor. NASCAR could solve part of their problem by having teams choose paint schemes and having the sponsors work within those confines. Of course, the downside for NASCAR is that sponsors want the car to be in their colours, something Dale Jr. mentioned as he was a young driver who did want to change cars from time to time in an era when it was still rare. Chris McGrath/Getty Images for NASCAREverybody knew that Dale Jr. was in the Budweiser car and Tony Stewart was in the Home Depot car. But it is at least conceivable that what the teams lose up front from keeping a more consistent appearance will be made up for in the long run with brand recognition and familiarity with fans. Teams could still do the occasional alternate paint scheme that more closely matches their sponsor’s colours. But the important point is to give the fans a sense of familiarity, something they have lost over the last decade or so.